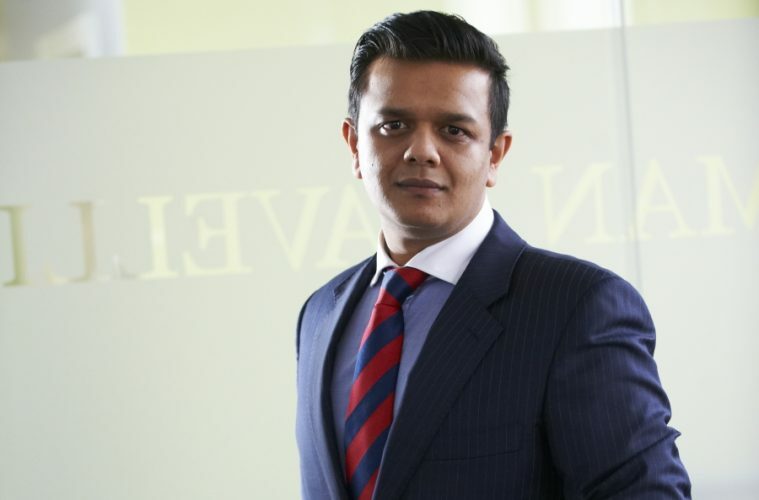 Syedur Rahman, of business crime solicitors Rahman Ravelli, argues that a Swiss bank’s acceptance of cryptocurrency is a sign of its increasing legitimacy – but warns that precautions still need to be taken. In stating that it will now manage the cryptocurrency assets of clients, the Zurich-based Maerki Baumann has become the second Swiss private bank to do so. The bank wrote an article for its website outlining the basics of what cryptocurrency is and stating that it is “generally prepared to accept funds generated through cryptocurrencies” whether raised through speculation, mining or as payment for services rendered. It is perhaps a sign of the increasing presence and perceived legitimacy of cryptocurrency that an institution such as Maerki Baumann will now open its respectable doors to it. The bank is part of a trend that has seen big money come to view cryptocurrency as something that could – and perhaps should – be embraced. For Maerki Baumann, cryptocurrency is something that can no longer be ignored – even if it wanted to. The bank may even be doing this in response to demand from its wealthy clients rather than out of any wish to be at the cutting edge. After all, Switzerland’s main stock exchange is creating a cryptocurrency trading desk – so the senior figures at Maerki Baumann may feel they cannot afford not to be involved, regardless of any reservations they may have. Such reluctance to be involved is indicated by the bank stating that it has no plans to invest in cryptocurrency – it cites limited data as the reason – and advising clients “against any major investment in cryptocurrencies at present’’, due to what it calls uncertainties. Which might well be a polite way of saying that cryptocurrency still carries a significant stigma due to its lack of regulation. We have a situation where a respected private bank has recognised cryptocurrency as an asset and its clients appear to have recognised cryptocurrency as a worthwhile investment. And yet the bank is still voicing reservations about its involvement in this new world it has stepped into. The Maerki Baumann situation is a microcosm of cryptocurrency: it is seen as an investment that may be too good to pass on and yet it is viewed by many as an asset favoured by those looking to commit financial crime. The complicated infrastructures relied on by crypto asset platforms cross many borders. Details of clients are spread equally diversely. This will make it difficult to regulate cryptocurrency, if and when any regulation is attempted. It also, unfortunately, offers the potential for fraud and money laundering; which may go some way to explaining Maerki Baumann’s qualified acceptance of cryptocurrency. If the private bank is concerned about its almost forced conversion to cryptocurrency, then it must do what every organisation should do: ensure its staff are fully aware of the risks associated with cryptocurrency and able to identify any aspect of a deal or a person’s behaviour that could signify financial crime. This will not be easy. It requires being aware of all developments in cryptocurrency, pursuing a policy of rigorous due diligence on trading and investment partners and seeking advice from those with the relevant legal and financial expertise. A Swiss private bank steeped in tradition and, arguably, set in its ways will not be the only company or financial institution wrestling with the issue of cryptocurrency, especially if clients or trading partners have already committed to using it. It is important that any individual or organisation in such a situation receives appropriate guidance on how to work with cryptocurrency and how to remove the risks that can accompany it. Any new aspect of finance brings with it uncertainty and a degree of risk. But this can be overcome by devising and introducing procedures to ensure that any new developments are adopted safely. Without wanting to sound alarmist, everyone looking to use cryptocurrency must take all the necessary steps so they know how it functions and how to negate the risks associated with it. Nobody in business or finance can be expected to have an instant awareness of all aspects of cryptocurrency. But they have to be aware of the legal implications of becoming involved in it. And this means ensuring they take appropriate advice from financial crime experts who can reduce their exposure to risk.